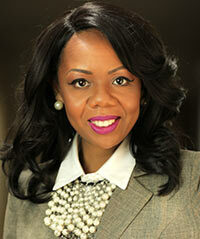 Dr. Tracee Perryman earned a PhD from The Ohio State University, majoring in Social Work and minoring in Education. Dr. Perryman has done extensive research in the following areas: how culturally adapted practices impact behavioral outcomes; translating cultural interventions into existing prevention programs; and informed decision-making on issues disproportionately impacting diverse groups. Dr. Perryman provides program monitoring, oversight, engages partners and funders, and implements operational and fiscal sustainability plans. Dr. Perryman ensures that program procedures are data driven, and align with best practices in education, family engagement, and cultural competence. Dr. Perryman holds a Master’s Degree in Mental Health Counseling from Bowling Green State University. Tracee increased the annual budget of CHFS from 0 to over $500,000. Dr. Perryman is a 3-time national presenter at the American Counseling Association Annual Conference. Dr. Perryman has taught in the Bowling Green State University College of Education, where she supervised internship experiences for aspiring early childhood educators. At The Ohio State University, Dr. Perryman teaches Life Span Development, Social Work Practice with Culturally Diverse Groups, and Introduction to Social Welfare. Through post-secondary teaching experiences, Dr. Perryman trains future educators and social workers on effective practices for use with children and their families. During her tenure as Executive Director, Dr. Perryman has developed and implemented an infrastructure for evidence-based positive youth development and family support programs. She introduced the first Children’s Defense Fund Freedom Schools to Toledo, Ohio, in 2007, and now partners with the Children’s Defense Fund to evaluate the effectiveness of the program in promoting various developmental outcomes. Dr. Perryman also brought the Nurturing Fathers Model to Toledo, Ohio, which is recognized as “Promising” by the National Registry for Evidence-Based Programs and Practices (NREPP), and “Effective” by the Office of Juvenile Justice Delinquency Prevention for use with families identified or at risk for abuse and neglect. Dr. Perryman participates in both local and regional leadership groups in the following areas: regional cradle to career planning initiatives, community schools, criminal justice reform, re-entry, and grassroots efforts to reduce racial disparities. Willetta Perryman is a former Head Start educator. She spent many years effectively engaging low-income parents in the education of their young children. Mrs. Perryman was an integral driver in developing the collaboration with the Children’s Defense Fund, to bring the CDF Freedom Schools to Toledo, Ohio. Mrs. Perryman created the Creative Village Child Development Center, which is now a 21st Century Community Learning Center housed in MLK School for Boys and Old West End Academy. Creative Village was rated as a “high quality center,” and a “model for other tutoring programs” by the Ohio Department of Education. Mrs. Perryman provides supervision to Center of Hope’s Positive Youth Development and Adult/Family Support Initiatives. Fletcher Word (Editor, The Sojourner's Truth Newspaper) received his bachelor’s degree from Harvard College, and serves on the following boards: Greater Toledo Urban League, the Northwest Ohio Black Media Association, the Toledo Press Club, and the Toledo Public Library. Keith Wilkowski is with Buckeye Telesystems. Larry Stegall, a retired member of the Laborers Local 500, currently serves as Executive Board member of the Local 500 Retiree Council and is a Delegate to The Ohio State Retiree Council.